Bart Martin, resident of Tonkawa, passed away Thursday, February 7, 2019 in Tulsa, OK. He was 76 years of age. Bart was born March 16, 1942 in Tonkawa, OK to Edward “Tommy” Martin and Reba Mae Bruno Martin. A traditional feast will be at noon with the funeral services to follow on Monday, February 11, 2019 in the Tonkawa Tribal Gymnasium with Anthony Street officiating. 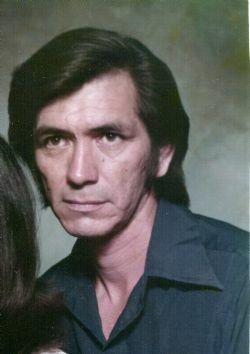 Interment will follow in the Tonkawa Tribal Cemetery. Arrangements are in care of Grace Memorial Chapel of Ponca City, OK. Casketbearers will be Danny Martin, Frank Williams, Robert Tah, Jeb Hunter, Darrell Tah and Russell Martin. Honorary Casketbearers will be Robert Neely and Jim Straighter. Bart loved fishing, hunting and spending much of his time at the casino. He was a member of the Tonkawa Tribe and he will be greatly missed by all. Survivor include: 1 daughter; Rebecca Monhatwa of Newkirk, OK sister: Patricia Moulin of Tonkawa 4 grandchildren and several nieces and nephews. He was preceded in death by his parents, sister Bernice Sands, 3 brothers; Francis “Sonny” Martin, Carl Martin and Charles Martin.